US drama Manifest has been renewed for a second season by NBC. Created by Jeff Rake, the series follows the passengers of a turbulent flight, who discover that the world has aged five years after landing. The series scored the best premiere rating of any new series in the US this season. Despite a noticeable decline throughout its season it has averaged 6.48 million viewers, rising to 12.6 million viewers in Live+7 days. 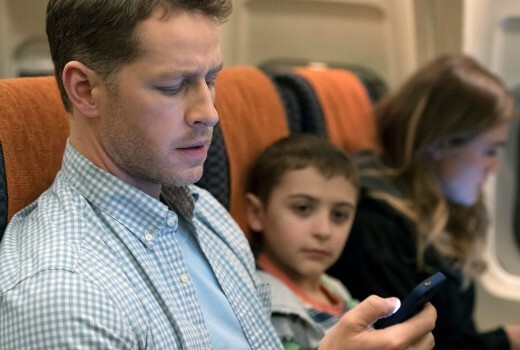 Manifest airs in Australia on Nine. The ratings dipped to half that of the opening episode at the end of season 1 so that tells you something about its real prospects during season 2 if the primary plot of this story doesn’t improve substantially. I suspect that the shows producers had a 2 season deal signed up on paper most likely because NBC saw it as commercially suitable for its many subsidiaries to fill their non rating program schedule, for me Manifest is nothing more than just another average example of a those familiar long running series broadcast on U.S. commercial TV in the last few years. Gave up on this show when Nine kept moving the timeslots. I liked the first couple of episodes, but it started to get boring. Great news. With the ending it had I was hoping it would come back. Not the greatest show ever but I eventually got hooked and was hoping they would bring it back just to explain what did happen . Very surprised to hear this. NBC really likes to torture viewers with shows that drag on and on. I enjoyed the first few eps, persisted through the middle of the season, but gave up at episode 14. Just another Lost-lite show where we’ll always get more questions than answers. Lost should not be in the same sentence. Brilliant news!! The creators were ready to shop it to other networks (including streaming networks) if NBC decided not to renew it, but I’m glad it’s continuing on a major platform. I thought it got better and better as the season progressed and I can’t wait to find out what happens next!